Our previous article, noted above, lists the ingredients and requirements for a Dirty Martini per the IBA (International Bartenders Association). Here are some links to others’ versions, which may look strikingly similar. Or not. If you like to be strict with your version of the Dirty Martini, definitely go with the original recipe. Otherwise, enjoy a few options below. No matter what, enjoy a nice Martini this evening. Relax and enjoy your weekend with friends or family. That”s what we have on our agenda! So. 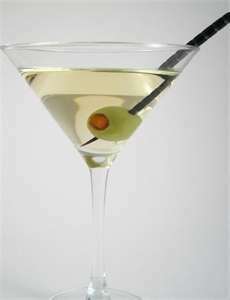 . . the Purists of the Dry Martini are offended by now. And that’s okay. We wanted to make some options available that maybe you haven’t found yet for your list. Let us know which one you like best. You can always email us at MartiniMaidens@yahoo.com, or follow us on Twitter or Facebook. We love hearing from you!